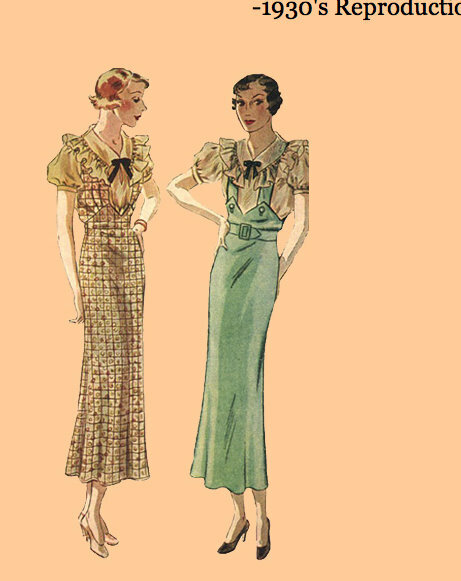 Since rewatching 42 Street and drooling over SuperHeidi's handiwork, I've become re-obsessed with 30s jumper dresses and skirts. These beauties look even cuter when worn with a ruffle blouse and beret. Wait a minute, that sounds vaguely like my favourite outfit in the late 80s. Ah well, watch for me rockin' a version of this look later this year (top secret project in progress that I must not reveal until Sept.) :). I LOVE this look as well! 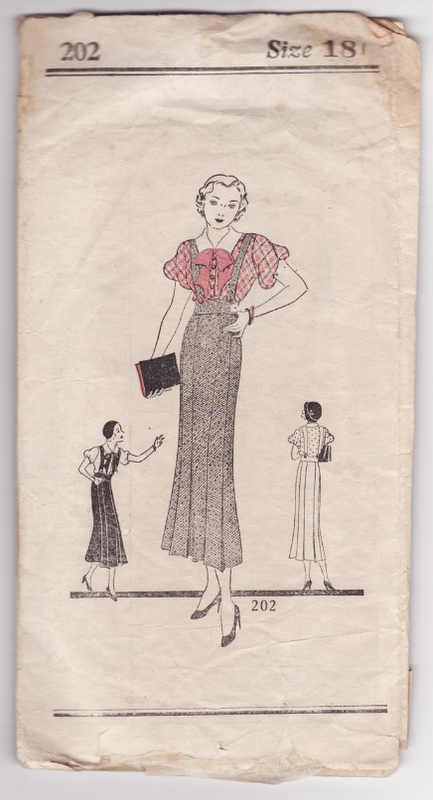 LOVE, LOVE, LOVE Simplicity 1145...those sleeves...amazing! Can't wait to see your super secret project!! Looking forward to the big reveal! Those are some fabulous patterns. I just discovered you! This is fabulous! 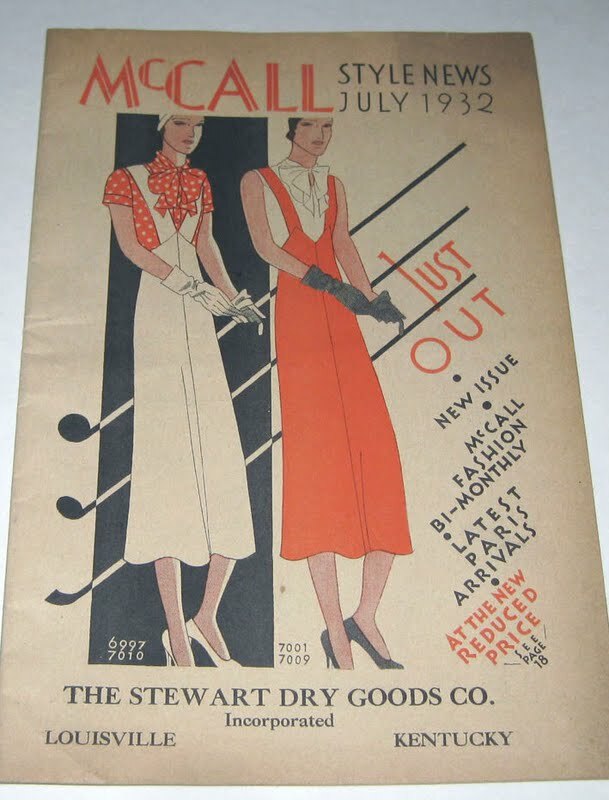 I love 1930's clothes. I very petite and so 30's doesn't often look great on me especially the longer skirt styles but I LOVE 30's fashions. I can't wait to follow you! Cheers. I am simply swooning over your blog and this post! 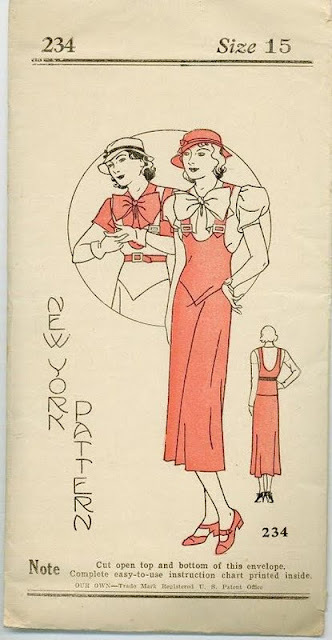 Recently I wore a jumper dress w/ ruffle blouse...not as long , but was my nod to era, complete with cloche style hat! Can not wait to see your photos of you wearing it! oooh, thanks for the mention! 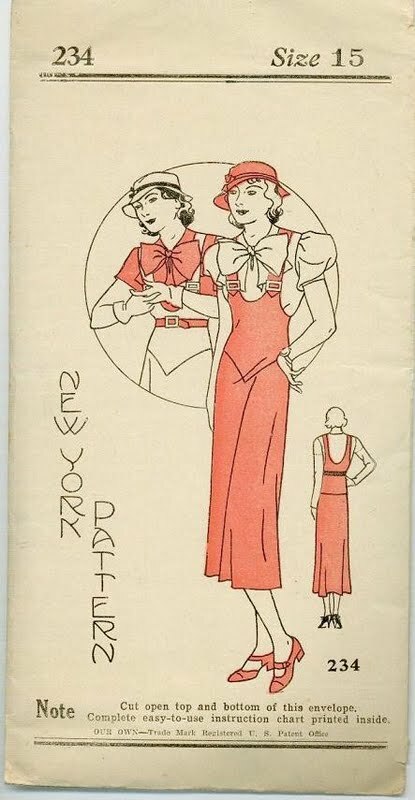 I was so thrilled when I found that pattern on Etsy. 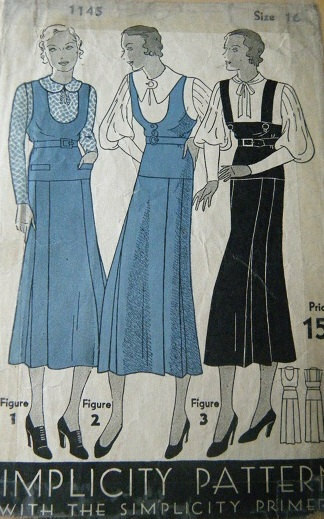 I love the 30's pinafore styles, there's just so many different variations of them it's not always the typical "80's jumper" that you would think of. I think my favorites might be the 3rd and the 5th but these are all pretty fabulous! Can't wait to see what yours looks like! One of my favorite Berkeley musicals!! And of course Ruby Keeler is too adorable in her little tap dancing ensemble for the title song! I love all these patterns, and I can't wait to see what you have in store for us!! These are gorgeous, love the last one espec.! These are adorable! 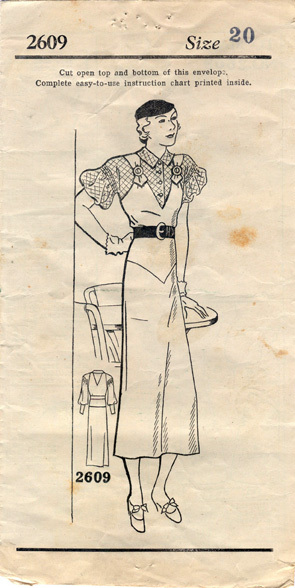 I have a photo of my grandmother in the 1930s wearing what looks like a jumper dress (with a beret-type hat! ), but I think it's actually overalls. She's sitting in the photo so it's hard to tell. 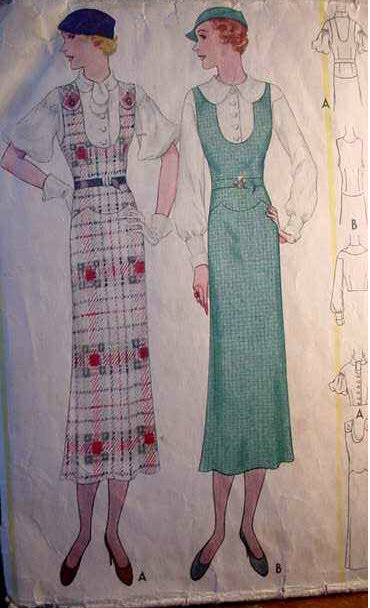 I'm loving the first pattern, and the second one (with the Peter Pan collar). Jumpers win! I'd love to see you in one of these! Welcome to my new followers...and thanks again to everyone for your comments. I can't wait to share what's in the works...but mustn't crack until Sept. HAH! I love that there are so many styles to choose from! I loved reading what everyone's favourites are! uhhh those jumpers are amazing! I am glad they keep popping up through the ages.